After strong winds and big seas offshore on Thursday, things went light on Friday for the 2016 Olympic sailing regatta, prompting delays in all classes as their race committees waited for the winds to first come in and then settle on a direction. The break in the action, however, provided an excellent opportunity to take a step back and see how things stand for the U.S. Sailing team thus far. First a reminder: in the Olympics for a sailor or sailors to have a chance at medal, they have to qualify for the medal round in the last day of racing. Only 10 boats take part in the medal race, which counts double toward the final score. Barring further delays, the medals races are staggered, with the RS:X men’s and women’s classes leading the way with their medal race on Sunday. After that come medal races for the Laser and Laser Radial on Monday, the Finn and Nacra 17s on Tuesday, the 470 men and women on Wednesday, and the 49er and 49erFX classes finishing things off on Thursday. The one true bright spot is in the women’s 470 class, where Annie Haeger and Briana Provancha took 5th in the one race the RC was able to get in under the fickle conditions. Their overall record is now 7, 3, 10, 2, and 5. (One can only imagine how things might stand if their halyard lock hadn’t failed just before Race 3; but then, of course, that’s all part of sailboat racing.) Either way, they are now tied for 4th overall with Tina Mrak and Veronika Macarol of Slovenia and just five points out of first. In the Laser class, Charlie Buckingham finished 15th and 10th today, putting him in 15th overall, while Stuart Mcnay and David Hughes in the men’s 470 class logged a 4th-place finish, putting them in 8th overall, although they remain a full 12 points short of the 3rd-place British team of Luke Patience and Chris Grube. 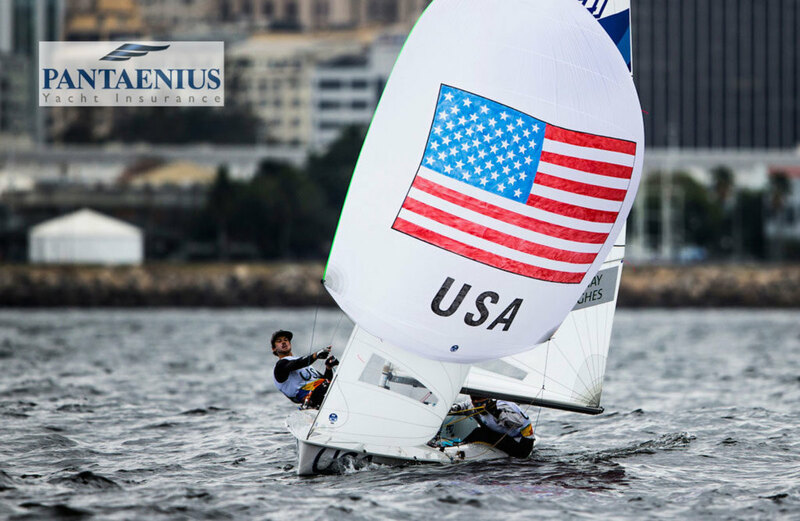 Unfortunately, neither of the U.S Team’s RS:X sailors, Marion Lepert and Dedro Pascual, will be taking part in the class’s medal races. In their first day of racing, neither of the U.S. crews in the 49er nor the 49erFX classes broke the top 10. For complete results in the racing events, click here.